Something big is happening to the world of matched betting. And it’s happening at OddsMonkey. 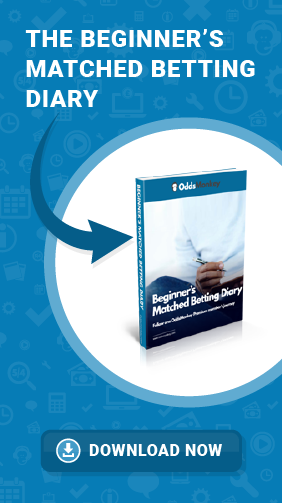 Our core product, OddsMatcher, made matched betting easier. Now, thanks to our brand new Betfair Integration, matched betting’s about to get quicker and slicker, too. We’ve teamed up with exchange giant, Betfair to bring you an integration tool which speeds everything up. (and more). As well as taking advantage of our one to one training sessions and support in the Community. The integration will save you a huge amount of time. You no longer need to have multiple tabs or windows open on your screen. You no longer need to flick between them to find selections and then place your lay bets. Instead, Betfair Integration means that it’s now all done with the click of a button. Also, if the odds change while you’re in the middle of placing your matched bets, all of the calculations will automatically update, meaning that you no longer need to manually input the data. Currently, you’ll only be able to place your bets directly from the OddsMatcher. However, our dev team are working hard to extend the integration to all of our other tools really soon. Or log in / register by clicking in the top right hand corner to get started with Betfair Integration. ◂ How safe is matched betting with OddsMonkey?